You must be crackers removing a good bearimg and fitting an unknown dual row. The failures were mainly due to bearing tolerances. You NOS bearing may be one of the ones that go pop. im not removing it yet, i'm gathering parts for a future overall the new on will be fitted without the oil seals if and when required. I new stronger retaining shaft would be fitted too if i can locate one? Have to agree with Alex here - did you read Baz's point below? The bearing size of the small bearing is basically to small for the job and whether it is a single or double ball bearing, or a roller bearing (that will not resists the significant side loading that chain flap causes) the only reliable alternative to fit in situ is a solid bearing with separate oil supply. Still crackers fitting a bearing with a known manufacturing defect when the one already in is fine. If you are doing an engine rebuild, go for the larger bearing option Hartech offer. 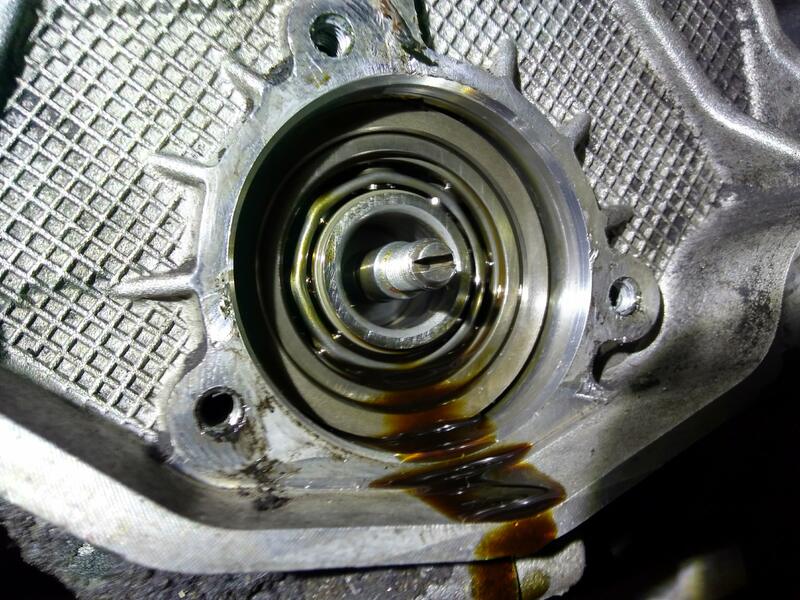 The difficulty here is that some bearings were fitted a bit tighter than others (usual manufacturers tolerance build up) and these generated more minute running in metallic particles that mixed with grease and formed grinding paste that prematurely damaged some bearings. This is why they either seem to fail early (under 45K) or last well over 100K. Fitting a NOS sticks you right in the middle of this ball(bearing) park. Baz states that the retaining shafts are weak due to the oil seal in it, and can snap or fracture on removing them is a new one available? the new bearing without the seals no doubt will be fine as we know failures of these are quite rare. No doubt this will not happen with the seals removed, im not sure if it is nos now or just new as it has no seals but it is the correct size. Seals have no bearing on races manufactured to the extremes of their tolerances. Are you sure it's a dual row as nobody manufactures them at those sizes? yes it's a dual row 20x47x23.8 with polyamide cage. looks good. so back to is there a stronger retaining shaft available to fit or is a new one obtainable . I have one fitted in mine from Hartech but I'm unsure if it'll fit a dual row bearing. They only supply the post with bearing and ideally like to fit it themselves but only with the IMS on the bench. You would have to sweet talk them if there was a chance of them selling one individually. Fitted to intermediate shaft from stripped engine. You probably could knock it through, but in doing so puts stress on an apparently weak part. I wouldn't bother doing anything. The risk of IMS bearing failure is really low. Theres so many other things that could let go at this age and mileage, why disturb the bearing and increase its risk of failure? Or: fully rebuild the engine now, new bearings, chains, with hartech IMS mods, the lot, this will remove all the other points of failure and give you real peace of mind. I get the hartech rebuild thing but, as im in Northern Ireland its not really an option, so im just gathering parts if they are needed,the bearing will only be changed if on inspection it's showing signs of wear. Replacing the bearing in situ is a recipe for disaster TBH. I would not consider replacing the old dual row with one of the same for reason already mentioned. Could pallet ship an engine to Hartech?. One member from this site had an IMS bearing replaced in-situ by a well renowned indie from the south and coincidentally the engine lunched on the timing chain a couple of days later!